At Atlanta Diamond Design, we just made jewelry that much more rewarding! One night, earlier this year, we were sitting around reflecting on how amazing our growth has been over the years and how far we’ve come. Izzy and Terri really wanted to find a meaningful way to thank our customers for their amazing support and from that the Atlanta Diamond Design Rewards program was born! As a way of showing our gratitude, all who enroll in our Rewards program will earn 5% Dividends on all their eligible purchases and that’s just the beginning! *Earn 1 Reward Point for every $1.00 spent at Atlanta Diamond Design on purchases of new merchandise and custom designed jewelry. *Use your accrued Reward Points to earn 5% Dividends which can be used towards future purchases of merchandise and custom design jewelry. *The Atlanta Diamond Design Rewards Program is a tiered rewards program. Meaning the more you shop with us, the more rewarding the experience! *As an Atlanta Diamond Rewards Member, you will periodically receive exclusive deals and double point shopping days throughout the year. From free jewelry cleaning to free Back to Factory Specs, your rewards grow with you! *No cards required. Rewards Points are automatically added to your account at the time of purchase and are stored in the computer system. *Bonus Point Opportunities: Experience bonus point awards during special events, promotions, birthday and anniversary months. By making purchases from Atlanta Diamond Design. You’ll receive 1 Reward Point for every $1.00 spent at Atlanta Diamond Design on purchases of new merchandise and custom designed jewelry. Use your accrued Reward Points to earn Dividends which reflect 5% of your eligible purchases. Certain types of purchases may not qualify for the Loyalty Rewards Program, and others may earn rewards at higher or lower rates than regular purchases. Atlanta Diamond Design has complete details. Rewards Dividends points accrue at a rate of 5% on eligible purchases. So, if you buy $500 worth of merchandise, you’ll receive $25.00 in Dividends good towards the future purchase of merchandise and custom designed jewelry. The Rewards Dividends you earn can be redeemed only at Atlanta Diamond Design locations and cannot transfer to another Rewards account. In addition to your regular 5% back on all purchases, we also offer special bonus Rewards items through a variety of channels including email, print advertising, direct mail, and online. How do I redeem my Atlanta Diamond Design Rewards points? A sales associate at Atlanta Diamond Design can assist you. He or she can confirm your account balance, and redeem the number of Dividend dollars desired. You must accumulate a minimum of 500 Rewards Points before Rewards Dividends are redeemable towards a purchase. Rewards Dividends reflect a 5% rebate on previous purchases. Where can I redeem the dollars I earn with Rewards Dividends? Rewards Dividends are redeemable at either of our two Atlanta Diamond Design locations. How quickly can I redeem Loyalty Rewards after I earn them? Reward Points earned from eligible purchases will be available to you immediately. Bonus Reward Points for birthdays, anniversaries, and referrals will be available within thirty (30) days from the date on which you earned those rewards. Ask a sales associate for more details. Any individual 18 years of age or older who live in the United States or Canada. Will my Loyalty Rewards ever expire? Under normal circumstances, no. However, if a member’s account is inactive for an extended period, the account may be closed, and earned rewards forfeited. Ask a sales associate for additional information. Visit the store nearest you and ask any sales associate or call us at 770-751-9055. We are more than happy to assist you with any questions or concerns about the Atlanta Diamond Design Rewards program. Also, you can email your questions to us at [email protected]. *Any returns or voids for items paid with Reward Dividends will have the amount applied as an account credit. **Costs beyond the sum of the Dividend require another form of payment to complete the purchase. Please carefully read this Membership Agreement (“Agreement”). It is an agreement between you (“Member” or “You”) and Atlanta Diamond Design (“Us” or “We” or “Rewards Program”). By completing the online Enrollment Form and clicking on the agreement checkbox in that form; you will have shown that you have entirely read, understood, and completely agree to abide by all stipulations set forth in this Agreement. You must activate Atlanta Diamond Design Rewards Program Member Account (“Account”) to participate in or to gain access to the Rewards Program (“Membership”), including any or all Rewards Program offerings, promotions, etc. To enroll, you must complete a Membership Enrollment Form, then read and agree to the terms of this Agreement. Your Membership is contingent upon continuous adherence to these terms and conditions, as well as any and all future modifications, provided in this Agreement. If Atlanta Diamond Design has justified a reason to believe that you have not upheld all terms and conditions of this Agreement in good faith, then we reserve the right to immediately revoke your Membership privileges. Such negligence on your part will also result, at the sole discretion of Atlanta Diamond Design, in the cancellation of whatever Rewards Points that have been previously credited to your account. You must be an individual, a resident of the United States or Canada, and 18 years of age or older. Each Member may maintain only one (1) individual account. Refusal to abide by any rules may result in the cancellation of your Membership privileges, including, but not limited to, the forfeiture of all of your accumulated Rewards Points. As a Member, you must provide us with valid contact information. It is required that you establish and maintain only one account and that you provide Atlanta Diamond Design with your unique and valid e-mail address. Atlanta Diamond Design reserves the right to terminate WITHOUT PRIOR WARNING any duplicate accounts, resulting in the potential loss of accumulated Rewards Points. Atlanta Diamond Design reserves the right to terminate WITHOUT PRIOR WARNING the account of any Member who construes his or her account so as to intentionally impersonate another Rewards Program Member. Atlanta Diamond Design reserves the right to terminate WITHOUT PRIOR WARNING any Member’s account that contains untruthful information. Participation in the Atlanta Diamond Design Rewards Program and the use of Rewards is currently limited to residents of the United States and Canada unless Atlanta Diamond Design explicitly states otherwise. Atlanta Diamond Design Memberships are valid for one (1) year from the date of activation and are automatically renewed on the anniversary date for each subsequent year. Atlanta Diamond Design may, at their sole discretion, terminate your membership in the program for any reason, without cause, and with or without explanation. All limitations of liability and other provisions of this Agreement shall survive any such termination. You will be credited, subject to the terms and conditions enumerated in this Agreement, a percentage (usually 5%) of the net purchases made by you at any of the two Atlanta Diamond Design’s locations or online. Purchases from which are collectively known as “Rewards Purchases,” and Points earned from such purchases as “Rewards Points.” Atlanta Diamond Design will determine the Points that will be accredited to your Account. The net purchase is defined as the total amount paid to the merchant minus repairs, services, tax, gift wrapping, shipping, promotional credits, returns, cancellations, insurance, and transaction fees, or as the Jeweler defines as the terms and conditions of the sale. Atlanta Diamond Design is not responsible for changes to, or discontinuance of The Rewards Program as they affect individuals. 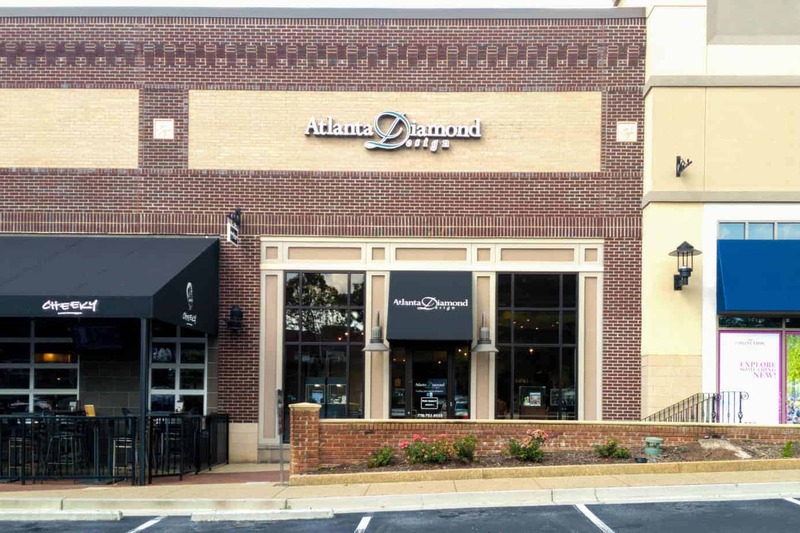 The number of Rewards Points awarded and conditions for earning Rewards Points are completely dependent upon Atlanta Diamond Design. 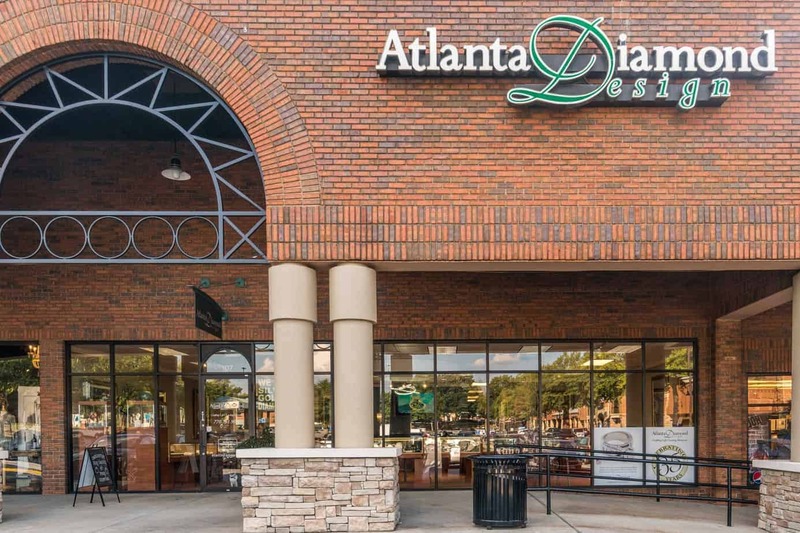 Atlanta Diamond Design may offer discounts on their products and services in the form of coupons or premiums that you can order in lieu of Rewards Points. The determination of whether or not a purchase made through Atlanta Diamond Design Rewards Program is a “Legitimate Purchase” is ultimately at the sole discretion of Atlanta Diamond Design. Points may be redeemed only at Atlanta Diamond Design. There is a minimum redemption of 500 Points towards any transaction. A transaction is considered either single or multiple item purchases. Point balances will never be allowed to have a negative balance. In the event, any merchandise is returned to the Jeweler for store credit or refund and the resulting point balance is calculated as a negative total, as a result of a prior redemption the value of that balance is to be deducted from the Member’s credit or refund. Atlanta Diamond Design accepts NO liability for any losses that you experience because the Rewards Program and/or its underlying technology, is not operational or accessible to you, other Members, or other individuals. Atlanta Diamond Design Rewards Program does not make any expressed or implied representation or warranties to you regarding the accuracy, reliability, availability, or other operation(s), or that your access to Rewards or presentations will be uninterrupted or error-free. Atlanta Diamond Design reserves the right to terminate its Program at any time with notice via the e-mail account that you will have provided to the Atlanta Diamond Design Rewards Program at the time of your Membership registration (or alternatively, to an updated e-mail Member account of which you have given us notice or by mail to the address you have provided us). Members will have thirty (30) days to redeem any Rewards Points held in each Member’s individual account. Atlanta Diamond Design will not be responsible for failing to successfully notify you of Program termination when such failure is caused by an error in your e-mail program or on your e-mail server, or if you have provided Atlanta Diamond Design with an inaccurate e-mail or mailing address, or if you fail to check for your e-mail online, or if you fail to inform Atlanta Diamond Design of a change in your e-mail or mailing address. In the event that a Member has no activity on his or her account (accumulation or redemption) for a period of three (3) consecutive years, then Atlanta Diamond Design reserves the right to close said Member’s account and any points accumulated shall be forfeited by Member. Atlanta Diamond Design reserves the right, at the company’s sole discretion, to modify any part of The Rewards Program or this Agreement at any time by changing the Agreement or other information on our Website, as well as statements in our disclaimer(s), privacy statement(s), or other content of our web pages at any time WITHOUT PRIOR WARNING to Members. It is entirely the responsibility of each Rewards Member to fully appraise himself or herself immediately of any and all changes instituted in Rewards Member policies, or other knowledge or statements presented on the Atlanta Diamond Design web site. Upon a change or upon changes to this Agreement, the Member, having informed himself or herself immediately of the changes to this Agreement, must decide whether to maintain his or her Membership in the Rewards Program. If the Member disagrees with the modified Terms of Service in this Agreement, his or her sole recourse is to withdraw from the Rewards Program entirely and promptly. The Member must tender his or her withdrawal from the Atlanta Diamond Design Rewards Program in writing (3000 Old Alabama Road, Ste. 107, Johns Creek, GA 30022). Furthermore, within thirty (30) days following voluntary withdrawal from the Program and Atlanta Diamond Design Rewards Membership, the Member shall redeem all Rewards Points remaining in his or her account. After the thirty (30) day period has expired, the Member’s account shall be closed and the Member shall no longer have access to their account at Atlanta Diamond Design and the points remaining in the Member’s account shall be forfeited. By submitting the required information on the online or printed form, you are indicating that you are over the age of 18 years, that you have entirely read and completely understood this Membership Agreement, and that you agree to be inexorably bound by its terms and conditions, as permissible under the law.